Lassi in Kefalonia. Restaurants. Accomodation. Beaches. 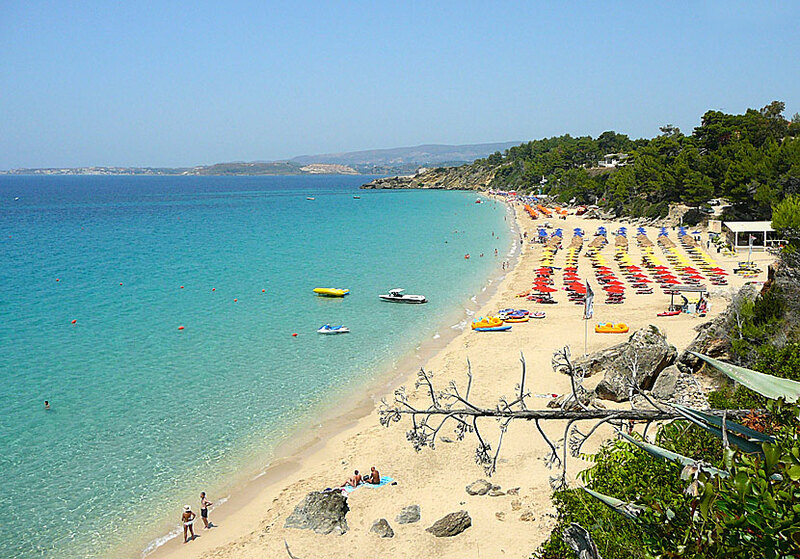 Lassi, a few kilometres southwest of Argostoli, is Kefalonia's largest and most popular tourist resort. I would also like to add the best tourist destination, partly because it is a good base to see the rest of the island, partly the proximity to Argostoli, partly the nearness to the airport, and partly because of the nice beaches. It takes between 20-30 minutes to walk from Lassi to Argostoli. 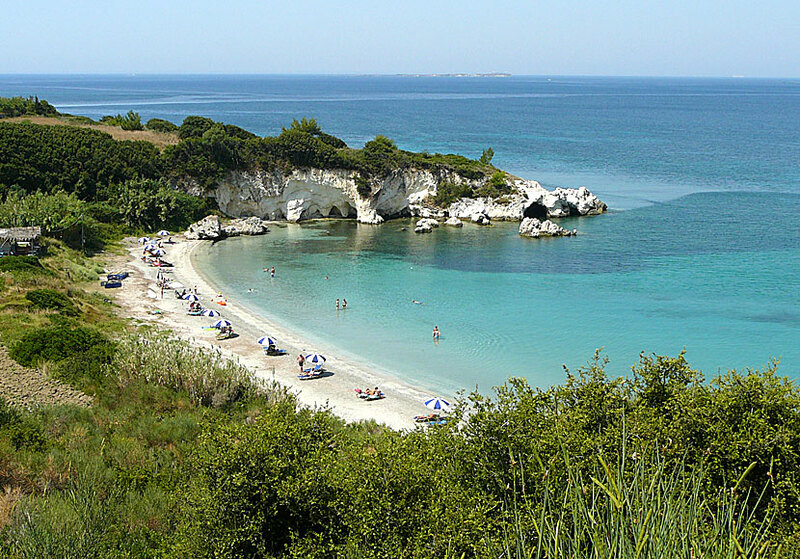 South of Lassi are the two most popular beaches - Makris Gialos and Platis Gialos. Makris Gialos is the best of the two, it is also the longest and it is closest to Lassi. The beach is divided in two and is separated in the middle by a taverna. Platis Gialos lies just south of Makris Gialos. Makris Gialos beach in Lassi. 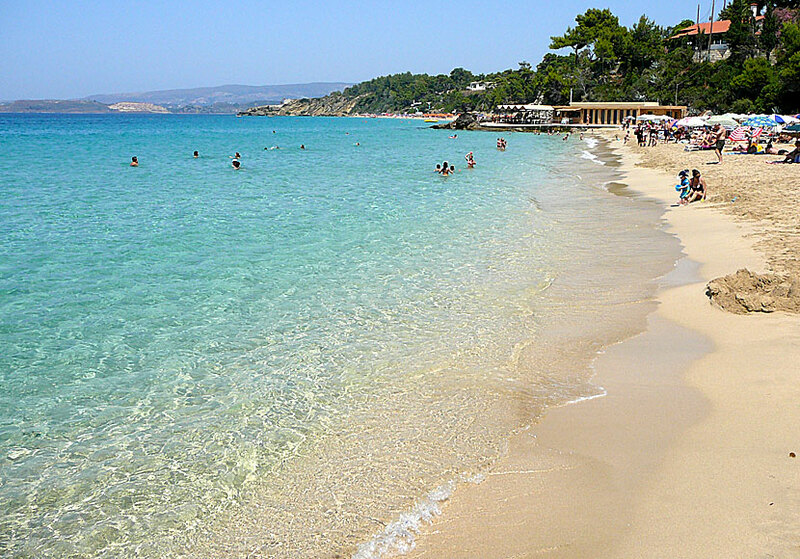 The nearness to the beautiful beaches is of course a very weighty reason, but the reason that Argostoli is so to speak round the corner is also an important parameter. Because it is to Argostoli you have to go when you want to live a village or town life, Lassi is - I think - not a village in the ordinary sense, there are so to speak no centre, the houses are scattered over a large area. But for that reason, it is no lack of tavernas or bars, such are plentiful, as well as some food and souvenir shops. Platis Gialos beach in Lassi. But, as said, it is the beaches that are Lassi's great gift to humanity. They lie like a chain along the coast from Lassi and southwards. My personal favourite is Kalamia which lies very beautiful in a bay with white limestone caves. Kalamia beach which lies just before Lassi. Many hotels are booked out by tour operators since Lassi is the most popular package holiday destination on Kefalonia. Nevertheless, there is a wide selection of hotels and pensions for those travelling independently.